Is there a purpose to meeting every Sunday? What is the point? Is there a purpose? The Bible is our benchmark. The Holy Spirit fell on Pentecost and those 120 people were never the same again. The people spoke in different languages. The outsiders were amazed at this. Peter stood up and preached the good news. We were separated from a Holy god but Jesus made a way. His blood washes us clean. When we accept His death and forgiveness our lives are changed forever – our past, present and future are taken care of. On that day (Acts 2:41) three thousand were added to the 120. What were the four things that were present in the early church? SAVED - It was made up of people who acknowledged that their sins were forgiven. They had REPENTENED. There was a change of direction in life. The power of God breaks addiction, habits, and sin’s power over us. Repentance is just not mental but actual. Your life has changed and people notice it. ADDED TO THE CHURCH v41. Somebody was keeping attendance and noted the numbers added. It means “I want to belong to the local church” I’m a part of it and in it. To build god’s church you need the above 4. They devoted themselves to the apostles teaching. 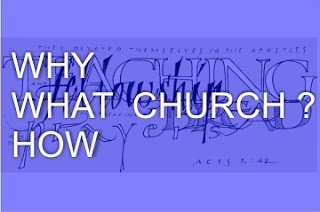 Wherever the church went in history they educated people. They started schools next to the church because the Christian faith requires that you study. Are you involved in studying God’s word and developing yourself as a Christian? If you want to grow you need to feed yourself. The early church devoted themselves. They were intentional about it. Join the IDT ( Indepth Discipleship Training) and invest in yourself. This means partnership, friendship. Encourage you to build relationship within the church. There are levels of friendship: acquaintances, friends, close friends and intimate friends. Relationships are very important. You can download worship, messages and worship at home. But this won’t give you fellowship. V46 They were into each other’s home. Is your home open? Do you people in your home, do you go over to people’s home? I am amazed at the numbers of answered prayer we see. We want to see more and more. As we pray for people we are getting involved in their lives. We meet twice a month for prayer as a church. We have the prayer chain, daily prayer in the office, Prayer breakfast. Be a part of one of these. What’s the result? Awe, and the presence of God comes down. SHARING They shared with each other. They were a generous people were they gave as people had needs. Much joy, favour of God. The kingdom advances and people get added to the church. We are involved in all this to one end. Rev 20:11-12 Everything is recorded and we will be judged and either be with Jesus or in the lake of fire. Paul is writing to the roman church which is not a church he planted. It’s possible that it was Peter who gathered and gave birth to the church. Some 5 years earlier, Caesar got rid of the Jews in Rome. Many Jewish believers also had to leave. Now under a new Caesar many had returned and a great church was starting to blossom in Rome. Paul writes differently. He writes as one coming as an apostle but not as one having authority over the church. He gives an amazing teaching! Terry Virgo says, "Apostolic passion, can only be satisfied by the birth of a community of the Spirit." 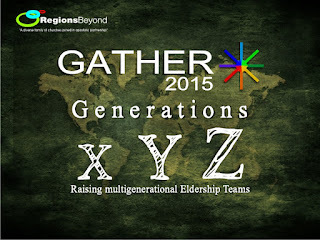 To just see leaders raised up is not enough, to see a church birthed and come to maturity satisfies apostolic passion. In Romans 16 - Paul is enjoying the fulfillment of this passion that he has. The church is the most beautiful creation, so Paul just overflows with joy. Rom 15:14 “I myself am convinced, my brothers, that you yourselves are full of goodness, complete in knowledge and competent to instruct one another.” What is already on the ground in Rome, has enough in it to bring it to maturity. To be honest, I feel that about India. I want to say, I am satisfied. You are full of goodness, knowledge and able to instruct one another. As the large boat was leaving, they watched these 2 young men land on the beach, unpack their belongings, and as they walked on the beach they were both killed by spears that hit them. Many months later the story got back to England. 800 people signed up to go to that island. John Patton’s incredible story of suffering and breakthrough. All those islands received the gospel over the next 25 years. It’s the apostolic confidence in God in the people. When we speak boldly, it’s born out of a passion to see you succeed. 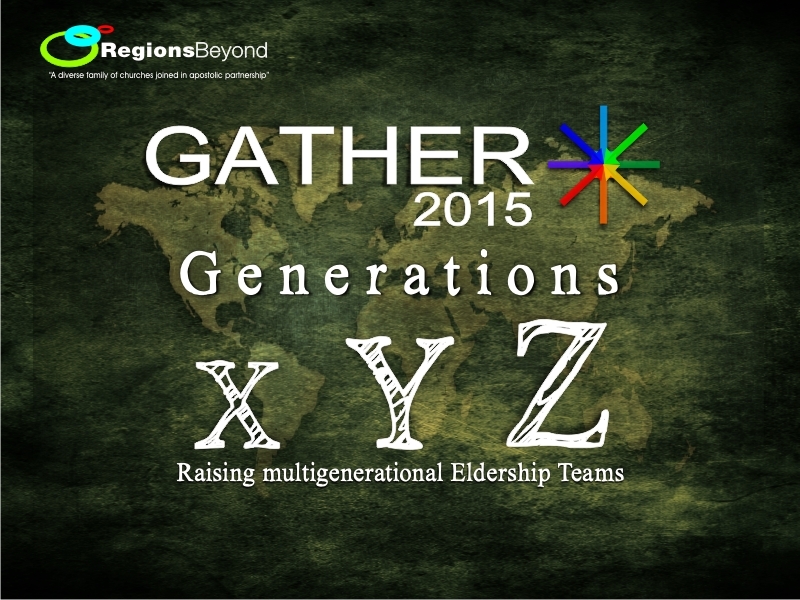 If we establish multi generational eldership teams - we will reach India. Remember, we operate out of the grace given us. We don’t earn it or deserve it. Look at Paul’s life and see how many trials and troubles he faced. He planted and had to leave because of persecution. He knew when a church was started, there was one greater than him who would bring it to completion. The success of your church rests very much on your leadership and how best we can help you but it does not depend on how often you receive me or any other gift. Jesus will build his church. Paul says, that because of what God had been doing all the way from Jerusalem to Illyricum (past Greece), I have fulfilled the ministry of the gospel of Christ. Q. What was on the ground? How many churches were planted? He says I've finished all my work, just because in that whole region there were churches dotted. Paul knew that because there was a local church in those areas, the gospel would reach the rest of the areas. The local church - it carries a promise, a DNA to change the world. It didn’t rely on some big name. God builds his church.